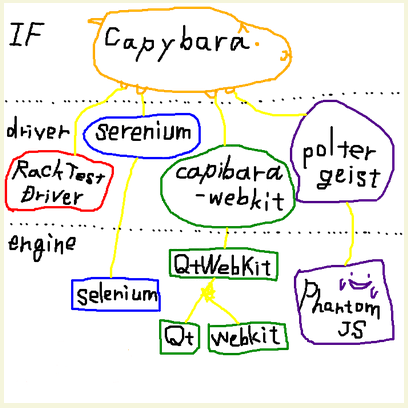 "A capybara driver that uses WebKit via QtWebKit." "You need at least PhantomJS 1.7.0. There are no other external dependencies (you don't need Qt, or a running X server, etc.)" "Qt is a full development framework with tools designed to streamline the creation of applications and user interfaces for desktop, embedded and mobile platforms." "WebKit is an open source web browser engine."